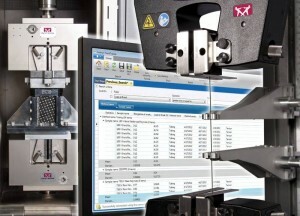 High Wycombe, March 2013 – At Control 2013, 14 to 17th May in Stuttgart / Germany, Instron will introduce newly developed accessories and software extensions for materials testing systems. These innovations include high-precision grips on automatic contacting extensometer, and new software modules;. All of them designed to minimize possible sources for inaccuracies in the test lab, as well as the time required for the execution and evaluation of test runs A major topic at Instron’s booth (1522 in Hall 1) will be testing composites technologies. The new precision manual wedge grips Ooops reliable gripping as well as repeatable alignment that meets NADCAP requirements. 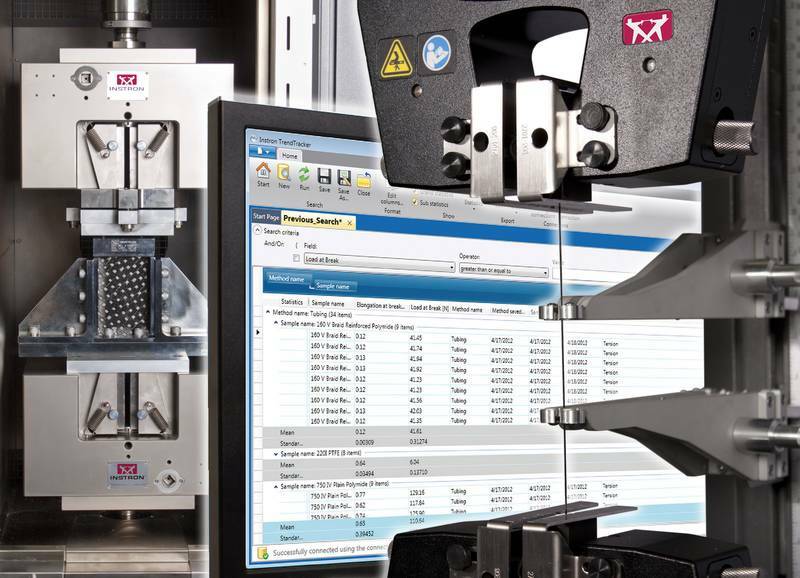 Available in two capacities – 100 kN and 250 kN – the robust manual self-centering wedge action grips are ideal for demanding tensile tests on composites, metals, and plastics over a range of temperatures from -80 ° C to +250 ° C.
Trend Tracker ™ is a newly developed software package for analyzing and managing test results for Bluehill ® 3 materials testing software that can help accelerate the data analysis workflow in a test lab This plug-in supports the collection and storage of testing parameters and data in a centralized SQL database, Which can then be individually arranged, processed, sorted documented, and statistically evaluated. At the Instron booth, Instron Application Specialists will also Ooops comprehensive information around materials testing, covering both electromechanical and electrodynamic testing systems for tension, compression and bend tests, as well as drop weight, pendulum impact testers and melt flow system to monitor the rheological behavior of polymer melts or the HDT and Vicat temperatures of plastics. Instron is a globally leading manufacturer of test equipment for the material and structural testing markets. A global company providing single-source convenience, Instron manufactures and services products used to test the mechanical properties and performance of various materials, components and structures in a wide array of environments. Instron systems evaluate materials ranging from the most fragile filament to advanced high-strength alloys. With the combined experience of designing plastic CEAST in testing systems, Instron materials testing enhances offerings, providing customers with comprehensive solutions for all their research, quality and service-life testing requirements. Additionally, Instron offers a broad range of service capabilities, including assistance with laboratory management, calibration expertise and customer training. Instron is part of the Test and Measurement division of the U.S. based Illinois Tool Works (ITW) group of companies with more than 850 business units distributed in 52 countries worldwide and a staff of approx. 60.000.